Whip up this delicious gluten free variation of the classic pancake – with a twist! 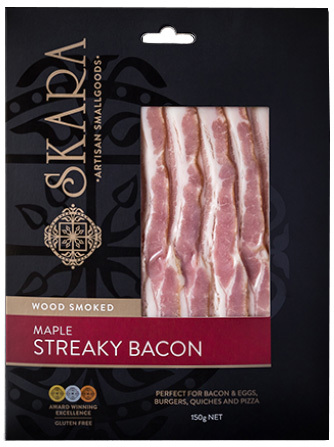 The sweetness of Skara’s maple bacon is the perfect addition to this flourless pancake mix. 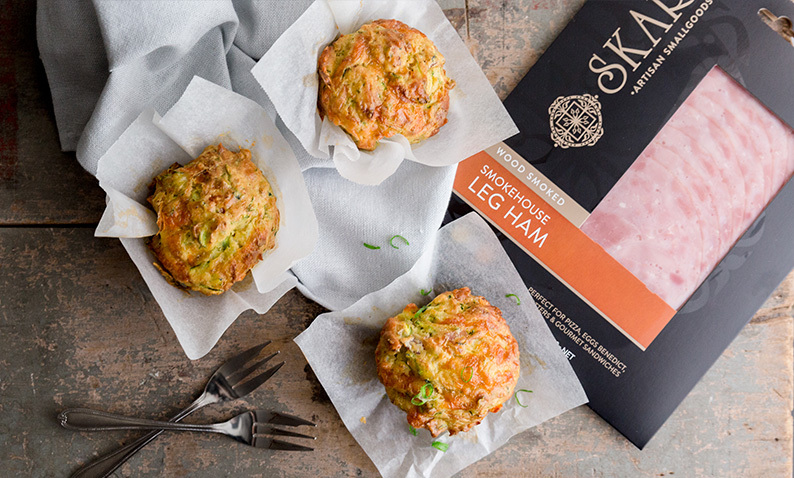 Now the choice is yours – will you eat it for breakfast, lunch or dinner! Preheat the oven to 200°C. 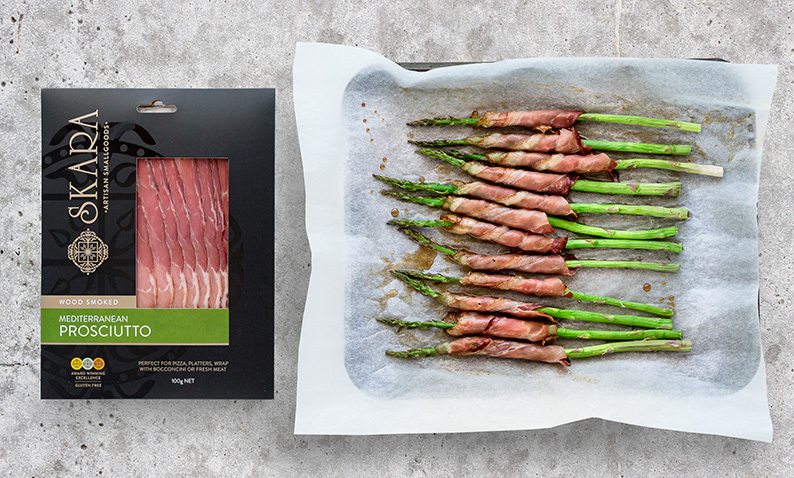 Line a tray with baking paper and evenly space out the slices of bacon. Place tray in the oven and cook for 10 minutes or until the bacon starts to turn golden brown. Remove from oven and allow to sit for a few minutes before serving. Meanwhile place the bananas, eggs, oats and baking soda into a blender and blend for 10-20 seconds until you have a smooth batter. Melt the butter in a large frying pan over medium heat. Pour the pancake batter into even circles and cook for a few minutes each side, flipping once bubbles start to pop on the surface. Create a stack of 2-3 pancakes per plate. 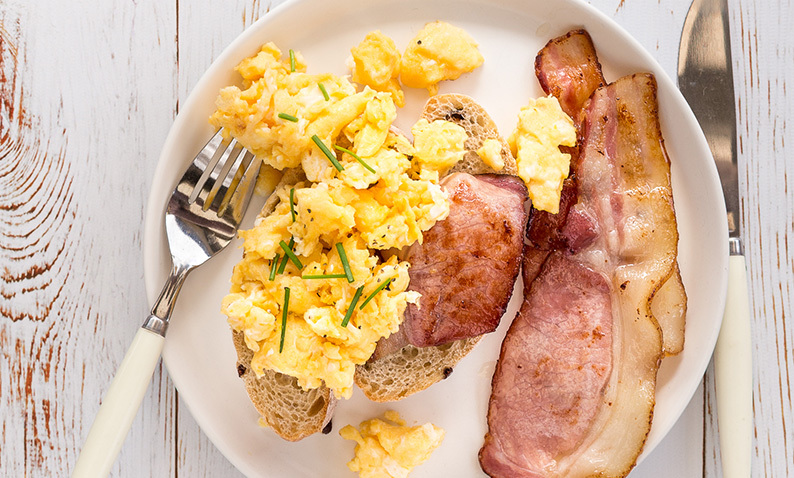 Top with a few slices of bacon and extra slices of banana. Drizzle with lashings of maple syrup and serve with a side of cream. Note: A classic floured pancake mix can be made if not needing a gluten free recipe.